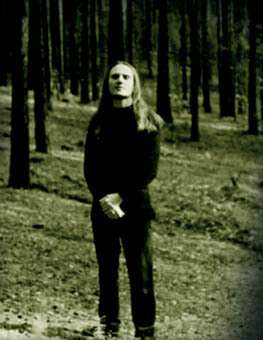 now in spring 2004, Stygian Crypt releases the first Liholesie´s album ´Primeval Rotation´. It is the first album for Liholesie and the first non-metal release for Stygian Crypt in the same time. The album includes all compositions from the demo and some new material. ´Primeval Rotation´ is dedicated to a concept of Year, The Wheel of Time, mystery of death and birth, rise and fall. 12 compositions, 12 months, 12 brothers... The music is very atmospheric and melodic dark ambient with noticeable influence from Slavic folklore.